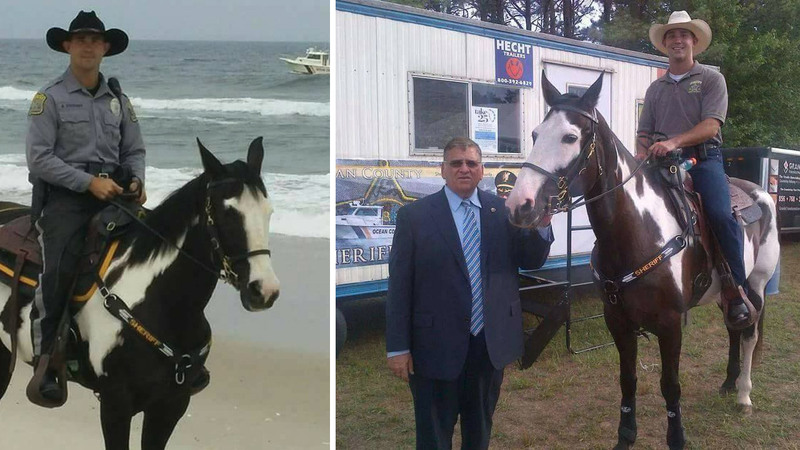 TOMS RIVER, New Jersey -- A horse used by the Ocean County Sheriff's Department has died. Officer Brian Stockhoff, who owned Sambuca, said the 20-year-old American Paint Horse died of a form of equine colic on Tuesday. Sheriff Mike Mastronardy asked Stockhoff to bring the horse to events starting in 2014. The sheriff approved the use of non-taxpayer funds to send Sambuca to police horse school. The horse was used in search and rescue and crowd control. The Ocean County Sheriff's Foundation paid for the horse's funeral.